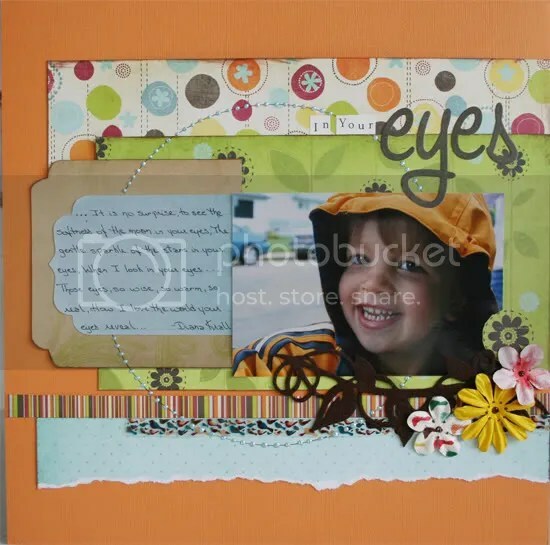 As any die-hard scrapbooker knows, this Saturday, May 2nd is National Scrapbooking Day! Please come back to our blog on that day for a shot at winning some blog candy!!!! Liquid pearls are a versatile medium by Ranger. They can be used as a dimensional decoration, or an opalescent paint. You can also use Liquid Pearls as an embellishment in much the same way as you would use glitter glue or liquid appliqué. They were created to work on paper AND fabric. Liquid Pearls were designed to make little pearlized dots that look like freshwater pearls when dry. To use, you can apply it straight out the bottle but you must let them dry naturally for several hours. Also, there is a tendency to get “Hershey Kiss” peaks on your pearls. Just use your finger and thumb to give it a little “flick” on the backside of your paper a couple of times and the peak will disappear, leaving a rounded “pearl”. According to other articles, Liquid Pearls can also be diluted with water to make an opalescent paint. I have never tried this personally but you could also use the pearls directly from the bottle, by applying them to a sponge or piece of felt, and then “pouncing” or rubbing the color onto your project to achieve a painterly effect that way. Liquid Pearls can also be blended with each other to make more colors, so the colour choices become endless. Have fun! Note-: Liquid Pearls must be kept from very cold temperatures. If they get too cold, or freeze, they will be ruined.